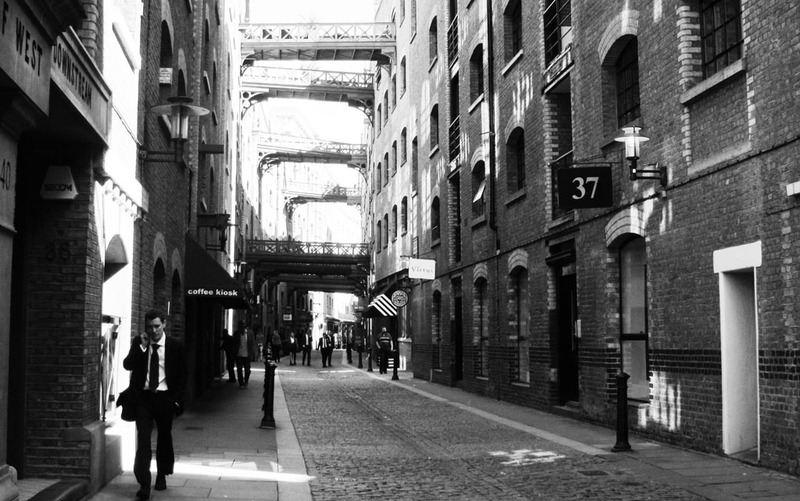 Just east of Tower Bridge on South Bank is Shad Thames, an area that offers a glimpse into times gone by with cobbled streets, rows of warehouses, original brickwork, passageways and iron bridges. Originally Shad Thames just referred to the East London’s historic riverside street however in recent years it’s been extended to the surrounding area. 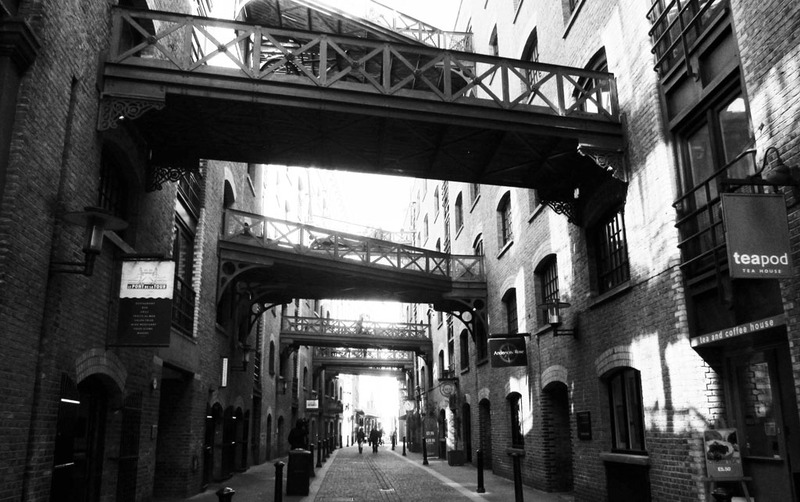 As part of a regeneration movement in the 1980s and 1990s (after the area went into decline during the mid 20th century) Shad Thames saw the redevelopment of its warehouses, being converted from derelict and forgotten spaces into high-end residential properties. Urban development like this often brings with it a loss of character, however Shad Thames fiercely holds on to its character and its Victorian charm, with original structures being used and appropriated as part of its redevelopment. Examples of this are the wrought iron bridges, that once helped transport goods between the former factories and storehouses and which today still span the street and link warehouse to warehouse. The redevelopment also saw an influx of restaurants, cafes and bars being opened in the area that to this day serve up great meals with fantastic riverside views. Tucked away in the alleyways of Shad Thames hides the Anchor Tap. This hidden gem has got to be one of London’s most reasonably priced pubs. Operating as a Samuel Smith alehouse (known by reputation but to a non-beer drinker like me, means diddly squat), the Anchor Tap serves up a selection of the independent brewery’s finest ales at a price that’s hard to beat. I learnt upon my first visit that a pint is just a little over 2 quid, which is practically unheard of in central London and even more so in a pub with such close proximity to Tower Bridge. Non-beer drinkers don’t fret the pub also serves a range of other alcoholic and non-alcoholic beverages. The Anchor Tap is as unpretentious in its layout and character as it is with its brew. In other words it’s not trying to be something it’s not. In fact the pub is refreshingly local. It is often filled to the brim with local characters and local banter – you are certainly going to find more locals perched on top of bar stools than tourists. The interior of pub has also retained a certain character that a lot of other London pubs have lost, with poky, dimly lit adjoining drinking rooms. Just make sure you watch your head on the low overheads. For me the number one thing about this pub is the outdoor space that is the warmer months offers a great place to sit with a group of friends, catching up over a drink and packet of salt and vinegar crisps. How very British of me!